There’s plenty of room for improvement in the availability of sustainable products through cooperative purchasing, says Darin Matthews. Portland, Ore-based Portland State University (PSU) is active on a variety of sustainability fronts. PSU was the first university to join Oregon’s Healthy Purchasing Coalition, which is focused on making purchases that avoid inclusion of toxins and other environmentally damaging ingredients. The school is also a member of the Sustainable Purchasing Leadership Council. 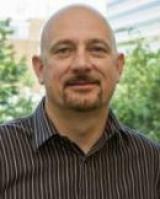 The PSU purchasing director believes that there’s plenty of room for improvement in the availability of sustainable products through cooperative purchasing. He notes that most current programs address sustainable products, including office supplies, computer hardware and cleaning products. “However, as sustainable products evolve, the contracts need to reflect that, and even increase their prominence. Procurement professionals shouldn’t have to ‘dig’ to find sustainable product offerings,” Matthews tells GPN. Down the road, Matthews predicts governments will increase their buying and using of a variety of green products. He says those include recycled and recyclable paper products, cleaner burning diesel equipment, soy-based printing cartridges, and non-toxic cleaners. Matthews serves as a member of the adjunct business faculty at PSU. He writes the Back Page column that appears in issues of Government Procurement. PSU has a wide-ranging commitment to all things green. The university’s 8th Annual Sustainability Celebration in May featured 44 research programs, student initiatives, and class projects. The 44 ventures focused on the PSU and the Portland community’s environmental, economic and social well-being. 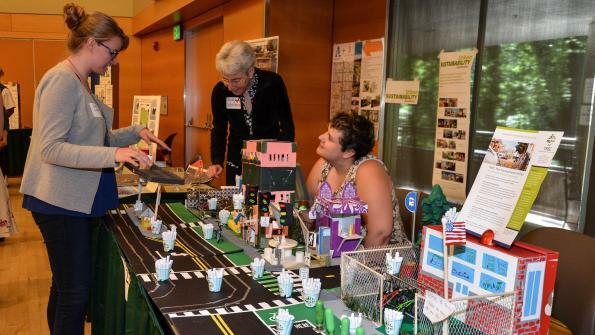 One of the highlights of the celebration was PSU’s Sustainable Neighborhoods Initiative that engaged about 800 students in 49 classes from 16 disciplines with four Portland neighborhoods on a variety of sustainability-related projects. PSU is in the process of formally adopting a new policy on Sustainable Procurement. The university gives preference to products that are sustainable and certified through third parties (LEED, Green Seal, EPEAT, Eco Logo, etc.). It is also revising its standard conditions for construction to require using bio-diesel in construction equipment whenever possible. Over the summer, the university’s Urban Sustainability Accelerator (USA) program brought together 25 representatives from urban areas across the country. The USA helps cities implement sustainability projects, to move their proposals from a concept, a plan, a policy or action item, to reality. As part of the USA’s annual meeting, the representatives visited model sustainability projects, consulted with local experts and shared ideas. Go here for more information on the school’s sustainability initiatives.